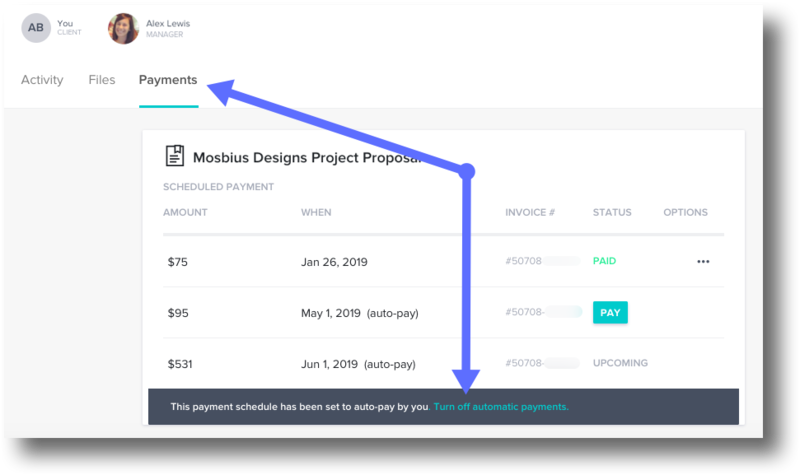 If your client chose to turn on auto-pay when they made their first payment on an Invoice or Proposal—which will automatically charge their selected card on the appropriate due dates—but would now like to stop the automatic payments, that's no problem! Just have them follow the instructions below. If your client simply needs to edit the credit card they use for auto-pay, here how they can do that. PLEASE NOTE: Autopay will never be turned on automatically. You can turn on "required auto-pay" on a file-by-file basis, or your client can choose to turn on auto-pay when they make their first payment. If your client turned this option on themselves, you, as the vendor, will not be able to turn it off—your client will need to do so themselves, by following the steps below. 1. Have them open their HoneyBook client portal by clicking any link in any HoneyBook email you've sent them (for example, the link to a file you've sent). 2. 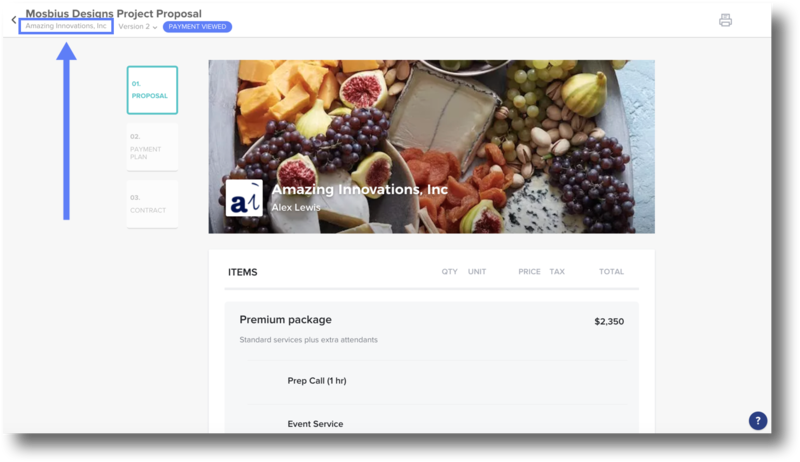 If they land within a file, they can click your company name in the top left corner of the page to return to the main Project workspace. 3. Click the Payments tab. 4. Click Turn Off Automatic Payments. This will remove the auto-pay setting, and allow your clients to manually make any future payments!